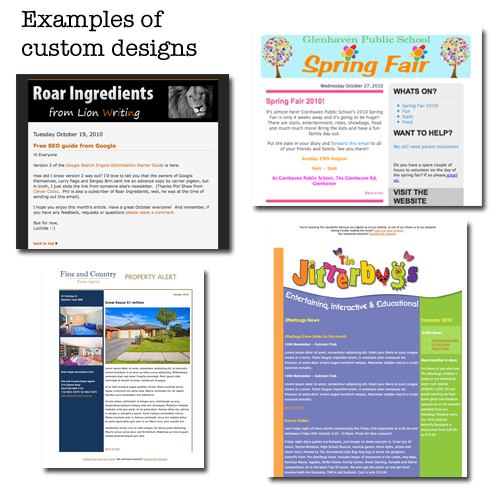 We can create a template which you can re-use over and over, or specific emails for product launches, promotions or any other one-time use email campaigns. We can match an existing website or make you a totally new design. Once you contact us we take a full brief and design your template according to your needs and the your branding and target audience. Ask about our discounts for multiple designs.